Couple of weeks ago I was very fortunate to host one of the roundtables during the FERMA risk seminar in Malta. I am very thankful for the opportunity because the experience of brainstorming for 45 mins with the representatives from various small and medium enterprises (SMEs) really highlighted some major problems with modern day risk management and risk managers. So can risk management make companies money? Of course it can. Do modern day risk managers in non-financial companies in fact make money for their companies? Very few. Most of the modern day approaches used by the risk managers are so academic and superficial, that management has a tough job buying it. 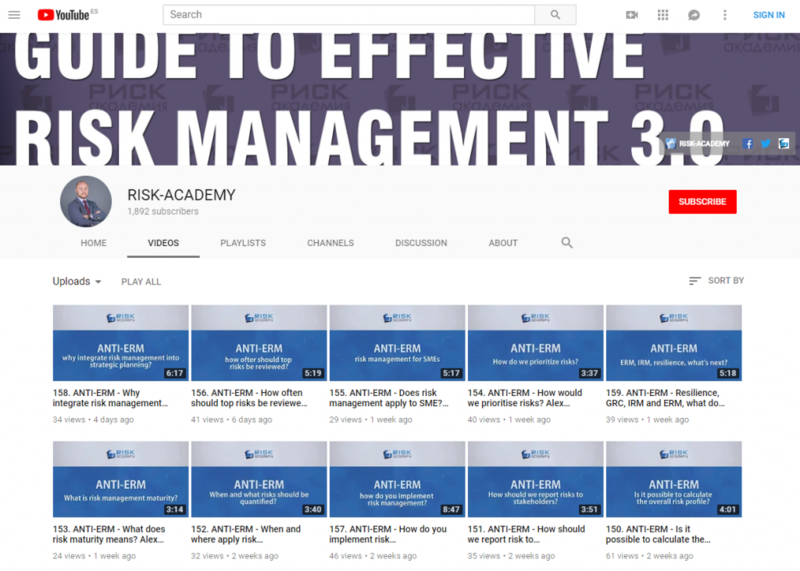 Here is a short video on showing value from risk management: https://www.youtube.com/watch?v=Cpeu0NhEMZY and it’s not what most risk managers are doing. do risk assessments really change the way business processes work, change the manufacturing process, change the way products are sold? do risk managers bring something of value to the table when any important business decision is made? do risk assessments change the way executives make decisions and is risk analysis available on time to support every significant decision? do they? really? are risk registers looked at by the CEO before making an important decision? do risk owners check their risk mitigation actions regularly? do risk appetite statements in non-financial companies change the way company operates and the way decisions are made? do employees regularly read risk management framework document? do managers call the risk manager before making a decision when faced with uncertainty? This I found most bizarre, we seem to have created a myth that risk management is about managing risks. Not so. Risk management is not an objective in itself. It’s just another management tool to help them make better decisions and hence achieve the objectives. This is a big difference between SMEs and large corporations. SMEs do risk analysis when a decision needs to be made, using whatever risk analysis methodology is appropriate for that particular type of decision. Large corporations do risk management when it’s time to do risk management, be it annually, quarterly or some other regular internal. Nothing could be further from the truth. Unless your methodologies, approaches and tools allow risks to be analysed at any moment during the day, when an important decision is being made or at every milestone within the core business processes, you are probably doing something wrong. If there is one thing I learned over the years is that no one in the company and I mean NO ONE, expect the risk manager, cares about risks. Well maybe some about-to-retire audit committee member as well, but most of them wouldn’t have the courage to deal with the real risks if you showed it to them. The rest of the company cares about making money, meeting objectives with the least amount of effort and getting nice bonuses as a result. You can assign risk ownership to them as much as you like, no one cares. SMEs learned it the hard way, unless an activity directly contributes to achieving objectives, it’s not going to be done. Risk management is no different. I find it ridiculous when risk managers talks about high risks and the need to mitigate them. When instead they could be saying things like “the probability of meeting this objective is 10% unless we change things”, “there is a 85% chance your business unit will not get bonuses this year based on our risk analysis” and so on. Despite what we, within the risk management community, have been telling each other for years, managers are not really managing risks every day. Thinking about risks is not natural for humans. The way system 1 and system 2 thinking operate in our brain make it literally impossible to see most of the risks associated with making decisions, let alone analyse them or manage. Since the 1970s many scientists, including two Noble prize winners, Kahnemann and Tversky, have discovered over 200 cognitive biases that prevent managers from seeing, understanding and dealing with risks. So how was the rest of the FERMA seminar?